Lili of The Valleyn söpön tanssivan tytön olin värittänyt jo aikaisemmin, joten muu kortti syntyi suurenmitta ponnisteluitta: vähän vain pitsiä, kukkia ja kortisteita.. Sorry I cannot find the translate button therefore I cannot comment on how you made your card. I can only comment on what I see and I think your card is fabulous. 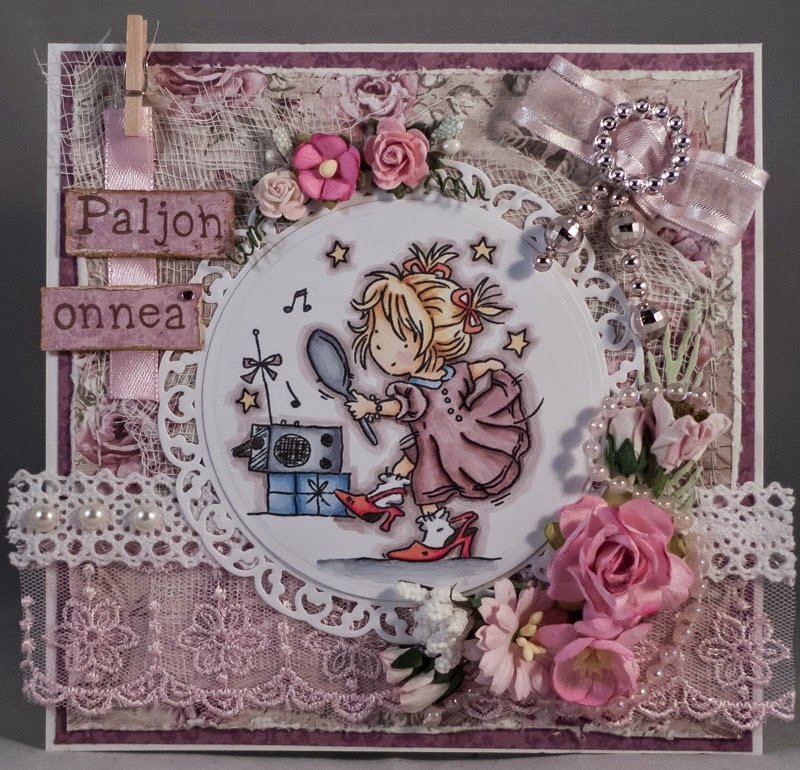 Love the image and your backing paper,lace and flowers are superb. Thanks for joining our challenge at Whoopsi Daisy and hope you will join in again soon. Jennifer DT member. Thanks for joining in our 300th challenge over at Creative inspirations. Awww love the image and great layout! Hugs!